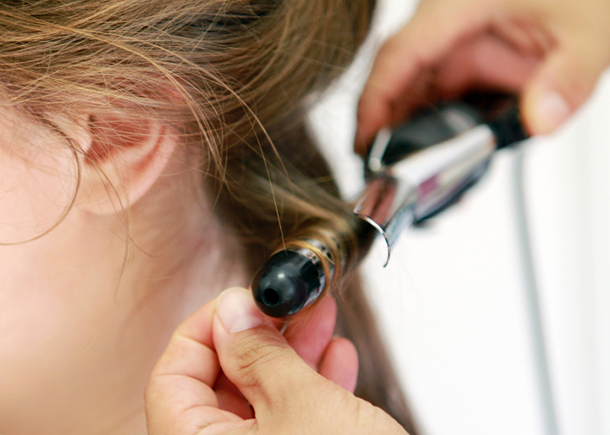 Falling victim to the flat iron, curling wand, or even just the stove is an all too common occurrence in our world, but what we’re less familiar with is the proper way to respond in the wake of a minor singe. We’ve heard countless dissenting opinions on how to proceed: submerge it in cold water, submerge it in warm water, slap yogurt over top, and plenty more. Cool it down with lukewarm water. While your initial instinct may be to use cold water to lower the temperature faster, that can do more harm than good. Instead, use water that’s on the cooler side of lukewarm, and submerge the burned area for around 10 to 15 minutes. You can also use a clean towel moistened with cool water to apply to the area. Popping or breaking blisters is a recipe for infection, so avoid it as much as possible. If they’re compromised inadvertently, clean the area gently with a mild soap, then apply Neosporin or a similar antibiotic ointment. Apply a soothing topical treatment. To assuage the initial pain, aloe vera gel or cream is the ideal skin soother to take the sting out of a burn. You can also try a low-dose prescription hydrocortisone cream. The area should be able to “breathe” in order to heal, but it’s also important to protect it from further damage. You can use a standard bandaid (for smaller areas), or loosely wrapped gauze. If the pain from the burn doesn’t let up, even after you’ve treated it, a bit of acetaminophen or ibuprofen will do the trick.